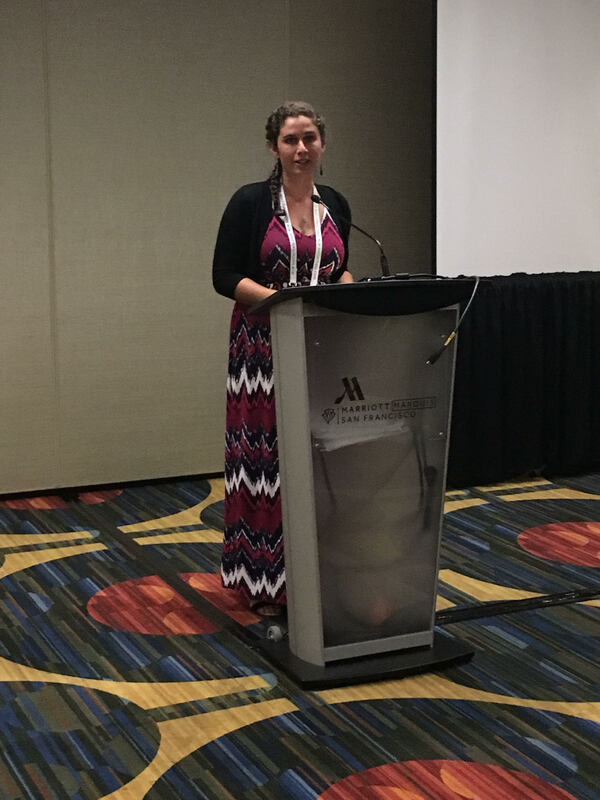 On Friday, August 10th, the Trauma Psychology Division held its Social Hour and Awards Ceremony to honor the various members whose work has been pivotal in the field of trauma. Award winners were either nominated by colleagues or self-nominated, and reviewed based on established criteria for appropriateness for the particular award, quality of work, significance of contributions, and commitment to the field of trauma psychology. 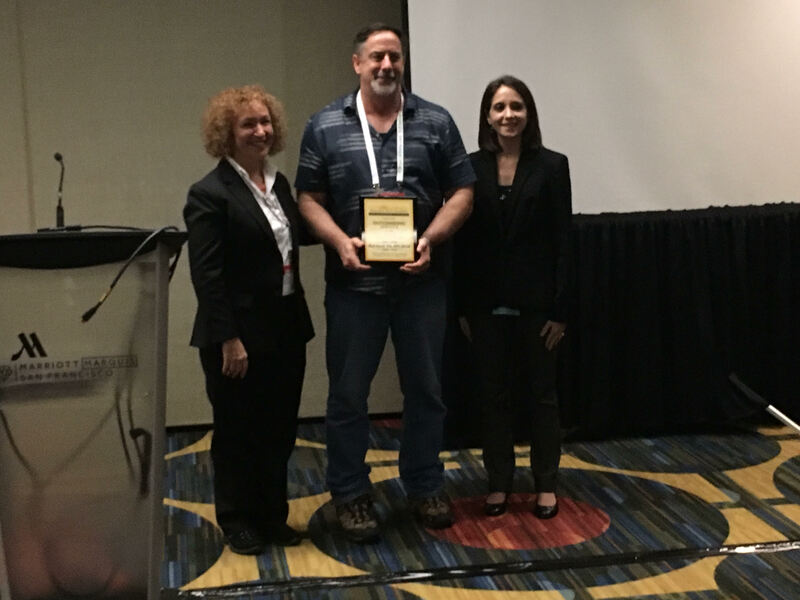 Award for Outstanding Contributions to Practice in Trauma Psychology: Richard B. Gartner, Ph.D.
Dr. Gartner has been a member of Division 56 since its inception. A graduate of Haverford College and Columbia University and a Fellow of Division 39 (Psychoanalysis), he is best known for his work with men with histories of sexual abuse. In 1994 he was a Co-Founder of MaleSurvivor (malesurvivor.org) and has remained active in the organization, serving on its Board of Directors for seven years and President for two years; he is currently Chair of its Advisory Board. Dr. Gartner is the author of Betrayed as Boys: Psychodynamic Treatment of Sexually Abused Men(1999), and Beyond Betrayal: Taking Charge of Your Life after Boyhood Sexual Abuse(2005). He has been quoted widely in the media about male sexual victimization and serves on the editorial boards of three journals. He is also Supervisor and Consultant at the Trauma Treatment Center of the Manhattan Institute for Psychoanalysis; supervised in the clinical psychology program at Columbia University for 20 years; and serves on the Advisory Board of the Leadership Council on Child Abuse and Interpersonal Violence. Dr. Gartner has also recently published three books: Trauma and Countertrauma, Resilience and Counterresilience, Understanding the Sexual Betrayal of Boys and Men, and Healing Sexually Abused Men and Boys. 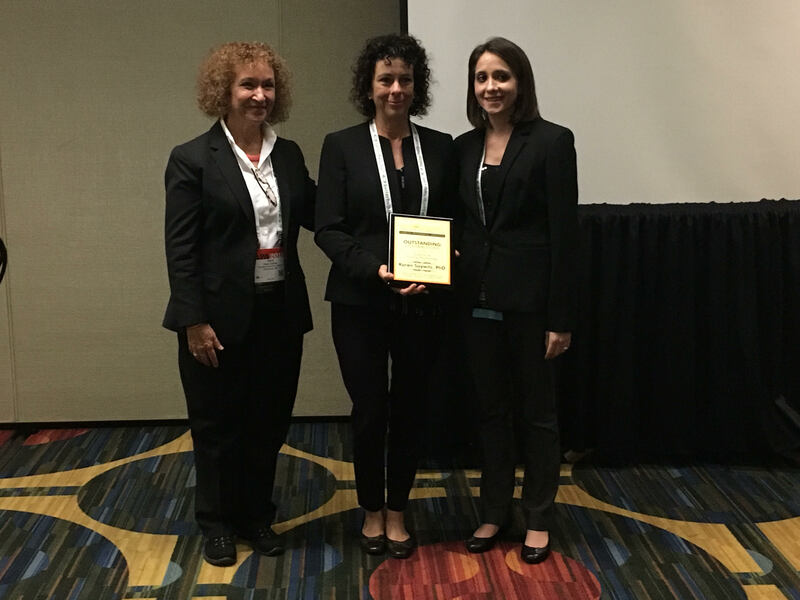 Award for Outstanding Contributions to the Science of Trauma Psychology: Karen J. Saywitz, Ph.D.
Drs. Bette Bottoms and Gail Goodman nominated Dr. Saywitz, along with six of her former students and four esteemed colleagues. Dr. Saywitz was a Professor of Psychiatry and Behavioral Sciences in the UCLA Department of Psychiatry, where she conducted research on child maltreatment, child forensic interviewing, foster care, and child mental health, and where she taught doctoral and medical students about trauma and children’s mental health, developmental psychology, and children and law. Dr. Saywitz co-received the very first federal grant on children’s eyewitness testimony. A resulting early article on children’s memory for stressful genital examinations (Saywitz et al., 1991) is now a classic in the field (cited nearly 500 times according to Google Scholar). 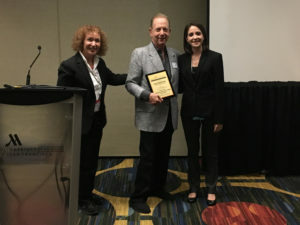 Dr. Saywitz, a former president of Division 37, received the APA Division 37 Nicholas Hobbs Award for Child Advocacy and Lifetime Advocacy Award. She also won the Research Career Achievement Award from the American Professional Society on the Abuse of Children, Child Abuse Professional of the Year Award for pioneering research from the California Consortium to Prevent Child Abuse, the Distinguished Service Award from the California Professional Society on the Abuse of Children, and the Award for Research and Service Excellence from the Long Beach Child Trauma Council. Dr. Sue Hobbes accepted the award on Dr. Saywitz’ behalf. Dr. Mark Russell was nominated by Dr. Charles Figley. Dr. Russell served 10-years as a U.S. Marine. He earned a bachelor’s and master’s degree in psychology from Chapman College and left active- duty to pursue his doctorate at Pacific Graduate School of Psychology (PGSP). He became an intern in the Navy and became the first military intern selected for a post-doctoral fellowship. Dr. Russell is a dual Board certified licensed psychologist in clinical psychology and child and adolescent clinical psychology with nearly three decades immersed as a scientist-practitioner and public policy advocate. He is the establishing director of Antioch University’s Institute of War Stress Injury, Recovery, and Social Justice dedicated to ending mental health stigma and other preventable causes of a generational cycle of wartime behavioral health crises. Dr. Russell’s ground-breaking research on war trauma is featured in the film Thank You for Your Service at the 2015 NYC Documentary Film Festival. Dr. Russell has previously received the 2006 Washington State Psychological Association Distinguished Psychologist Award; the 2005 Meritorious Service Medal awarded by President Bush, and has been a Fellow of the Tulane Traumatology Institute since 2015. He is a highly published trauma psychologist who has been an effective leader in the field of trauma psychology within military mental health. 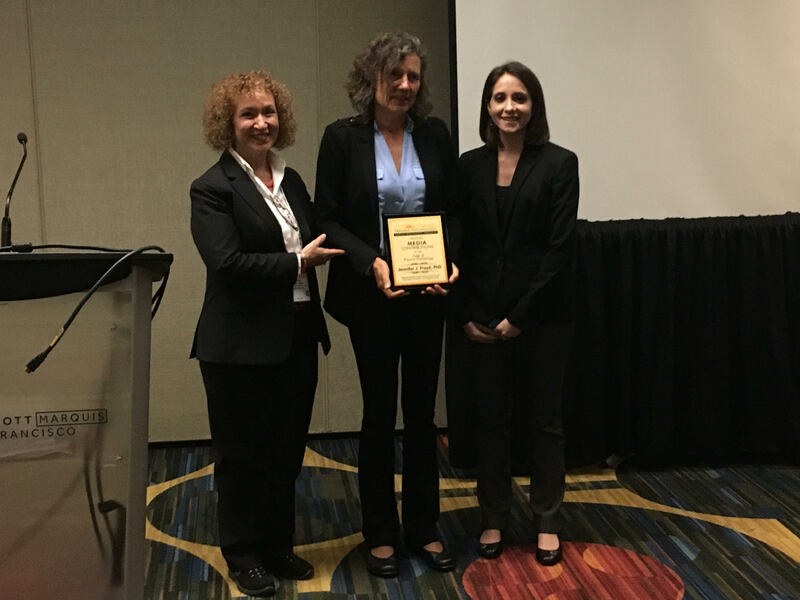 Award for Media Contributions to the Field of Trauma Psychology: Jennifer J. Freyd, Ph.D.
Dr. Freyd was nominated by Dr. Carolyn Allard. Dr. Freyd is a Professor of Psychology at the University of Oregon and a Fellow, 2018-19, at the Center for Advanced Study in the Behavioral Sciences at Stanford University. She received her PhD in Psychology from Stanford University. Dr. Freyd is a widely published and nationally-renowned scholar whose work focuses on studies of betrayal trauma, institutional betrayal, and sexual violence, as well as minority discrimination, gender and sexual orientation, trauma and disclosures of abuse. The author or coauthor of over 200 articles and op-eds, Dr. Freyd is also the author of the Harvard Press award-winning book Betrayal Trauma: The Logic of Forgetting Childhood Abuse. Her most recent book Blind to Betrayal, co-authored with Pamela J. Birrell, was published with seven additional translations. In 2014, Dr. Freyd has received numerous awards including being named a John Simon Guggenheim Fellow, an Erskine Fellow at The University of Canterbury in New Zealand, and a Fellow of the American Association for the Advancement of Science. In April 2016, Dr. Freyd was awarded the Lifetime Achievement Award from the International Society for the Study of Trauma & Dissociation. Dr. Freyd currently serves as the Editor of The Journal of Trauma & Dissociation. Additionally, in 2011, Division 56 presented Dr. Freyd with the Award for Outstanding Contributions to Science in Trauma Psychology. Early Career Award for Racial/Ethnic Minority Psychologist in Trauma Psychology: Angela Narayan, Ph.D.
Dr. Angela Narayan is an assistant professor in the clinical child psychology doctoral program at the University of Denver and a licensed psychologist in Colorado. 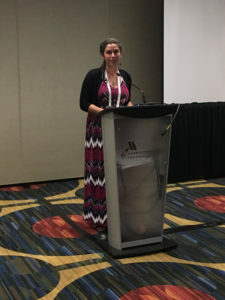 She received her Ph.D. in clinical child psychology from the Institute of Child Development at the University of Minnesota and completed her predoctoral internship and post-doctoral fellowship at the University of California, San Francisco. Dr. Narayan’s research examines intergenerational pathways of psychopathology and resilience in socioeconomically, ethnically, and culturally-diverse populations with a focus on how the pregnancy period is a transformative opportunity to buffer the transmission of risk. She is currently working to understand how benevolent childhood experiences and childhood adversity in pregnant women and expecting fathers affect their transition to parenthood, romantic and co-parenting relationships, and the health and wellbeing of their offspring. 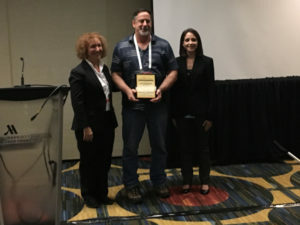 Award for Outstanding Dissertation in the Field of Trauma Psychology: Megan K. Maas, Ph.D.
Award for Outstanding Contribution to Trauma Psychology by an Early Career Psychologist: Rebecca K. Blais, Ph.D.
Presidential Award for Outstanding Contribution to the Field of Trauma Psychology:Terrence M. Keane, Ph.D.